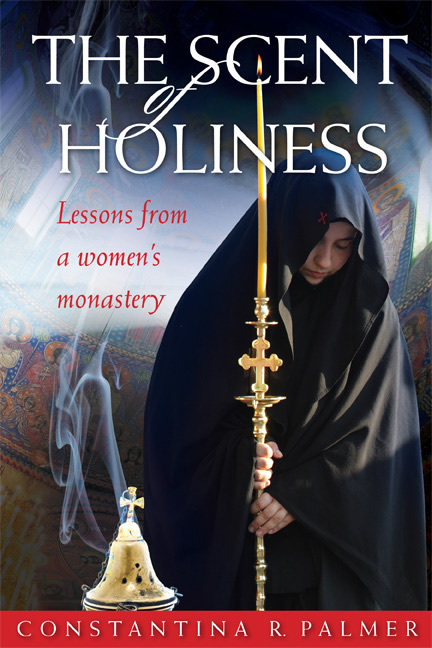 Below is an interview Olga Rozhneva (frequent contributor on pravloslavie.ru) conducted with a Russian monk at the Holy Greek Orthodox Monastery of St. Anthony the Great in Arizona, Hierodeacon Seraphim. Originally in Russian, it was translated into English by Jesse Dominick and posted on Orthodox Christianity. A large portion is re-posted below; to read the full article click here. (Source) —Fr. Seraphim, the providence of God is at work in the life of every man, but sometimes it is hidden and sometimes it clearly reveals itself in some kind of sign, remarkable encounters, or words. Did you have such signs—a clear manifestation of God’s providence for you in your life? —You know, the Lord leads every man to Himself when the most opportune moment for him comes. I was born in Moscow. In childhood, like my peers, I was an Octobrist, Pioneer, and Young Communist. I graduated from the Moscow Aviation-Technological Institute with a diploma in mechanical engineering for aircraft engines. I started to get involved in various religious currents, but didn’t arrive at Orthodoxy. In 1995 a professor of physics from Chicago, David Chesek, came to Moscow. He was a very good Catholic and wonderful family man with eight kids. He died two years ago. We got acquainted, having similar interests in physics, and he invited me to America to study and work. He helped me with my visa. I was twenty-three and had the opportunity to travel to another country, live and study there, and receive some life experience. The Lord allowed me to do all of it. Several American universities cooperate with various companies where the companies pay the universities for research. The university in Alabama, where I began to study, collaborated with automotive companies. They looked for students who would do research along with their studies, so they paid for my education and gave me a salary for work in the metal casting department. This was the most ideal option for me. I rented a small house from a family, studied for seven years and received my masters and doctorate. I was offered work at General Motors. But the Lord already had other plans for me. In America I studied and worked, worked and studied, and was deprived of those human consolations I had in my homeland: interaction with my parents and relatives and friends. People who move to other countries lose these comforts they had at home. Any Orthodox country is a country of collective communication. You know, you can just drop by a friend’s without calling, and you’ll drink some tea in the kitchen and have a heart-to-heart… But western countries are societies of individualists: “Hello,” “Goodbye.” There’s parties, but the conversation is very superficial. And no matter how well you speak English, you always feel that you’re from another culture. Being without these human consolations, you begin to look for them in God. My mom, learning of my interest in faith, advised me to get baptized. When the Lord wants to bring someone to Himself, He creates such circumstances, arranges meetings through which the man can begin to recognize Him. I made some Russian friends, and they turned out to be Baptists. I was always very curious, and here I wanted to immediately know: where is truth? After all, there can’t be several truths. I started to attend the catechumen courses at the Orthodox church and learned about Church history and doctrine. I compared and analyzed, and realized that the truth is in Orthodoxy. I received Holy Baptism. My life changed dramatically. Prestigious work at General Motors didn’t entice me anymore. I didn’t want to stay with the university department—I had developed an interest in monasticism. —And why did you choose the Monastery of St. Anthony the Great? —Once my spiritual father, Archpriest Alexander Fekanin, the rector of the church of St. Symeon the New Theologian in Birmingham, advised me to go to St. Anthony’s Monastery. My first time there I was twenty-six. I met the founder of the monastery, Elder Ephraim—a spiritual child of Venerable Elder Joseph the Hesychast. I said to him in broken Greek: “Father, I want to become a monk,” and he blessed me. I came here a few more times; I liked it, but I was confused: I wasn’t sure that I was supposed to stay in this monastery. I even wanted to return to Russia and enter seminary. I had just graduated from my university in Alabama, and after my defense and all my work I felt tired, and my spiritual father blessed me to go on vacation to the west coast. California is a huge, beautiful state: mountains, the Grand Canyon, nature, monasteries… I went to St. Anthony’s and told the fathers that soon, after my vacation, I was going to Russia, and rented a car and drove to California. 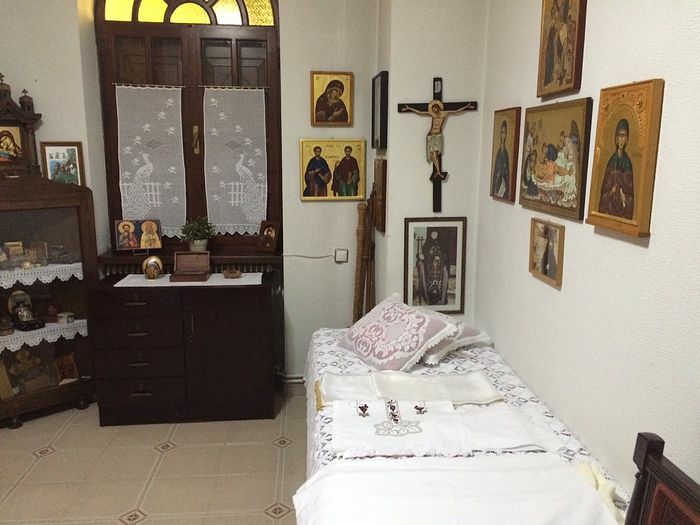 I spent three days there, and somehow Mother Fevronia, and she was a spiritually experienced person, began to talk with me about the monastic life. At the end of the conversation I felt like she wanted to tell me something, but she wasn’t saying it. It’s a sign of a spiritual person, to not enforce his point of view, but to wait until you ask. And if you ask, then he answers. That is, he speaks to those who are ready to listen. I asked her: “Mother Fevronia, it seems to me you want to say something to me…” and she responded that she had prayed for me all night. She told me: “God’s will for you is to go to Fr. Ephraim and be a monk in his monastery.” I was amazed. Then she advised me to go to San Francisco to the “Joy of All Who Sorrow” cathedral, to St. John of Shanghai. His relics are in a wooden shrine under glass, and underneath there’s an opening where anyone who wants to can drop a note to the saint. I went to San Francisco and wrote a letter to St. John of Shanghai, requesting that he pray for me. Then I went to St. Anthony’s and immediately felt sure that it was “my” monastery. That’s how I wound up here. You see, I prayed for several years, from the time I felt the pull of monastic life, that the Lord would teach me: to go to a monastery or not, and if so, which one. I prayed that the Lord would inform me about it in such a way that no doubts would remain about the correctness of my choice, and I received my answer at the most opportune moment—when I had graduated from college, when I was free to choose my path—that is, precisely when I needed it. There are many monastic testimonies that when they had chosen the monastic path in life, they couldn’t immediately leave for the monastery—some obstacles appeared for them. The Lord revealed it to me when it was most necessary, to secure my path. It’s worth noting that when I would come to the monastery, being unprepared, I tried to meet with Elder Ephraim every time, but he didn’t want to receive me at all. And when I was finally ready to choose my path, the elder immediately received me. And moreover, he summoned me himself and instructed me. —Could you tell us about the elder’s instructions? He gave me a few pieces of advice for beginning the monastic life. Perhaps they’ll be useful for your readers, because they can be applied to monks or to laypeople. The elder stressed the importance of preserving your conscience everywhere: at work, during our obediences. He advised me to keep that initial zeal with the help of obedience to a spiritual father and unceasing prayer. He said that ascetics have three enemies: the world, the evil one, and our own selves—our passionate nature. He emphasized that, taking care for our salvation, we mustn’t waste time doing nothing. He gave the example of one nun (I suspect he was talking about his mother, Nun Theophano). When this nun would hear the chiming on the hour, she would say to herself: “Another hour has passed, and I’m another hour closer to death.” Thus she kept the memory of death, helping her to never forget the salvation of her soul. In September 2002 I arrived at the monastery and became a worker, working in the kitchen. After four months the elder blessed me with the novice’s cassock and gave me an obedience in the bookstore: book orders, receive pilgrims. I speak in English and Greek, so I can also answer phone calls and take care of the mail. In 2012 I received the monastic tonsure and in January 2015 I was ordained a hierodeacon. Perhaps, that’s it… I can tell a few more stories about the providence of God. —Allow me to thank you, Fr. Seraphim, for the interesting and soul-profiting conversation. What would you wish for the readers of Pravoslavie.ru? —In Russia, especially amongst the laity, we lost the tradition of the Jesus Prayer. Even some priests look askance at laypeople who carry a prayer rope in their hands. They consider the Jesus Prayer with a prayer rope a monastic tradition, and are afraid of prelest. Our spiritual father, Elder Ephraim, blesses laity to engage in the Jesus Prayer, to the extent, of course, that their life in the world, work and family allow them. The elder explains that there’s no danger for those praying at the beginning stages of the Jesus Prayer, when a person says it orally, when he has a small prayer rule he does at home or on the road. Usually our spiritual fathers bless laity new in the faith with a daily rule to do at home in the morning or in the evening. It’s about 50—150 Jesus Prayers with the Sign of the Cross at each knot, and 50—150 prayers to the Mother of God, “Most Holy Theotokos, save us,” also with the Sign of the Cross on each knot, and 20—50 prostrations with the Jesus Prayer and Sign of the Cross at every prostration. You should fulfill this rule given by the spiritual father, and not change it arbitrarily. The rest of the day you walk around the streets, ride on the bus, in the subway, and pray to yourself, with a small prayer rope in your hand, or without one. When there’s no one else around, it’s useful to say the prayer out loud, quietly. It helps the mind to concentrate on the words of the prayer and not get lost in dreams. The main condition is a feeling of repentance. Don’t strive for spiritual achievements, but ask for mercy and forgiveness of sins. 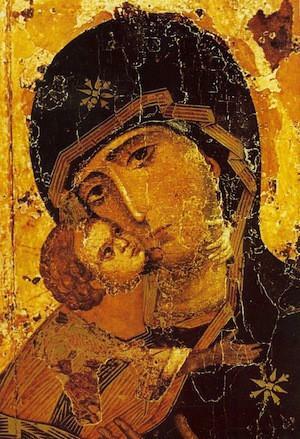 Elder Ephraim also strongly recommends (and for us it’s part of the monastic rule) to read the Akathist to the Mother of God every day, that she might shield us from all evil, and also when we have to go somewhere. We had a novice here in the monastery, a Greek (he’s a monk now). During obediences and at other times he often said the Akathist to the Mother of God aloud, which he knew by heart. One night he was walking around the monastery, praying his favorite Akathist aloud. He went a little beyond the bounds of the monastery, and not noticing it in the dark, stepped on a rattle snake. Usually if a snake touches you, it bites you. But a miracle occurred here: the Mother of God covered the novice and the snake didn’t bite him, but simply slithered away. That’s the benefit of reading the Akathist to the Most Holy Theotokos. This beautiful article (and the photos that accompany it) is on our holy mother among the saints, Abbess Makrina of Portaria. As many of my readers know, I love blessed Makrina very much and so I wanted to share this lovely article. The blessed eldress experienced many sorrows—her parents’ untimely death, mortal illnesses, hunger, the horrors of war, and hard physical labor. She was chosen of God from her mother’s womb. 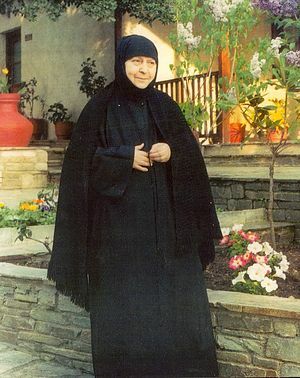 When Maria was only seven years old, during prayers with other children she heard an inner voice calling her to the angelic life of monasticism. At that same moment, the girl experienced a divine presence in her heart and began to weep with copious tears. She left her friends, ran home, and fell weeping before the holy icons. From her earliest childhood, Maria always had great reverence for the Most Pure Theotokos. During the German occupation, the girl was diagnosed with pleurisy. Once she was sitting alone in a dark room, dying from hunger and praying to the Mother of God, peacefully waiting for her to take her from this life. At a certain moment the room was filled with light, and Maria saw a nun who came up to her and lovingly promised to heal her. In a moment the pain and feeling of hunger disappeared, and Maria felt as if she had just eaten a satisfying dinner. After this miraculous vision she was also healed of that serious case of pleurisy. 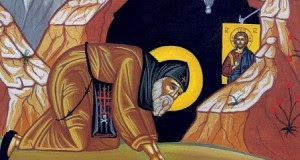 The blessed elder Iakovos (Tsalikis) of Euboa said to some people who lived near Abbess Macrina’s monastery, “If I were you I would walk every day to the monastery to receive a blessing from Eldress Macrina before going to work.” St. Porphyrios of Kapsokalyvia and Elder Ieronymos of blessed memory both also spoke very highly of Gerondissa Macrina. 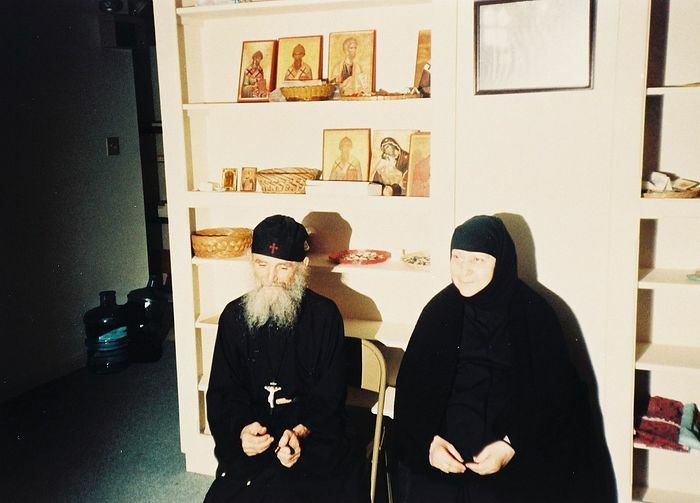 Elder Ephraim of Arizona and Abbess Macrina. Abbess Macrina’s monastery became a “divine nursery”. 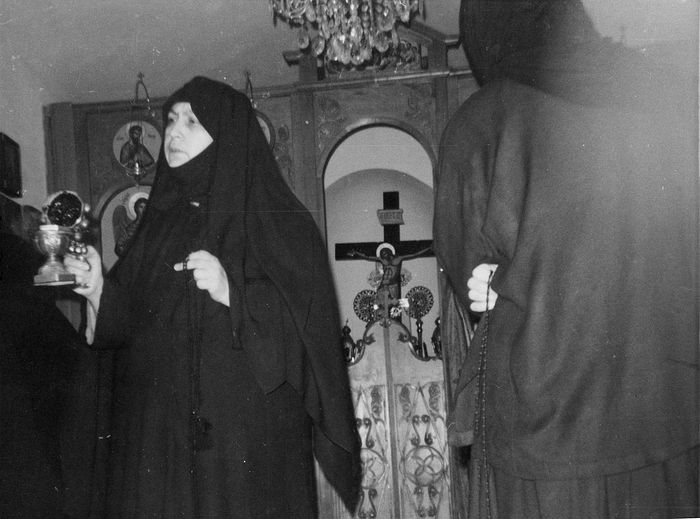 Thanks to Abbess Macrina, the Panagia Hodigitria Monastery became a “divine nursery,” out of which grew several new monasteries in the U.S. and Canada. 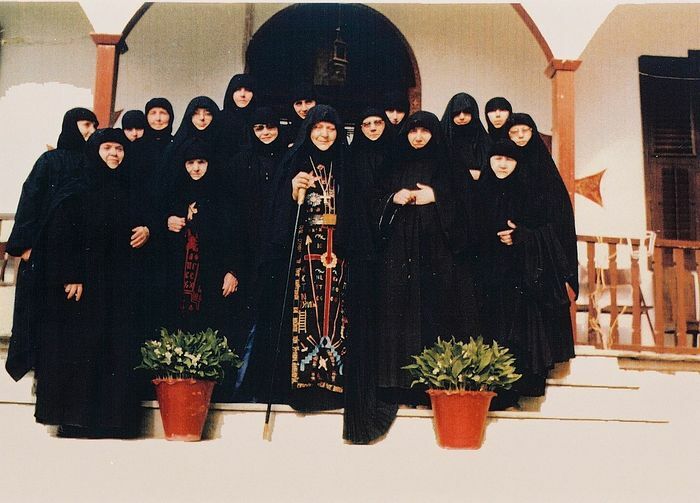 Today in the Greek Archdiocese of North America there are already ten convents, and all of them trace their history to St. Joseph the Hesychast. Five stories of the blessed eldress Macrina. We would like to share with you, dear readers, several stories that blessed Macrina related to her spiritual children for their edification. One day a widow heard someone knocking at her door. When she opened it she saw a young, pregnant woman whom she had never seen before. The woman said to her, weeping, “You are my mother, you are my protector, you are my salvation!” Without any hesitation the widow let the woman into her home and over the next few months secretly took care of her. Every evening when it was dark outside, she took the woman out for a walk so that she would remain strong and healthy, but in such a way that no one else would see her. Not long before the woman gave birth, with her consent the widow found a pious couple who agreed to adopt the child. Soon afterwards, the widow’s son, who lived in America, contacted her and asked her to find him a good and pious girl to take in marriage. His mother asked him to come to Greece as soon as possible, because she had found him a wonderful girl whom he could marry. Before introducing him to the young woman, she told him all about how she had met the girl, and that she had given birth out of wedlock. At first the son was disturbed, because he couldn’t believe his mother would choose a bride for him who had already lost her purity. But she was able to convince him that this was God’s will and that they would live happily together. So, the marriage took place in the widow’s village, and then the son returned to the United States with his young wife. During that year of 1919, a flu pandemic broke out in Europe resulting in 20 million deaths, and the pious widow became one of those victims. Since her son could not arrive in time for his mother’s funeral, he decided to come when her body would be exhumed after three years for internment in the ossuary (according to the Greek tradition). Eldress Macrina, Elder Ephraim, and Fr. Joseph. When three years later they were nearing the place of burial, the air was filled with a wondrous fragrance that everyone noticed. But that was not the entire miracle: God had covered the widow’s bones with a filigree of pure gold. When her son’s wife saw this she fell to the ground on her knees, broke into tears and said to all, “This is because she protected me!” When this became known, a multitude of people came from all over Greece to venerate the pious widow, and they became the witnesses of this event. This included many bishops and priests! How many wounded souls Gerondissa Macrina “protected” with her unconditional love! And how many more does she continue to protect with her constant intercession and prayer for us before the heavenly throne of God! In one of the villages near her monastery there lived a pious couple who had a ten-year-old son. Their next-door neighbor was an old woman with an intolerable personality. She was constantly berating everyone, angrily and unfairly scolding her neighbors, and when their son would return from school she would throw sticks and stones at him. 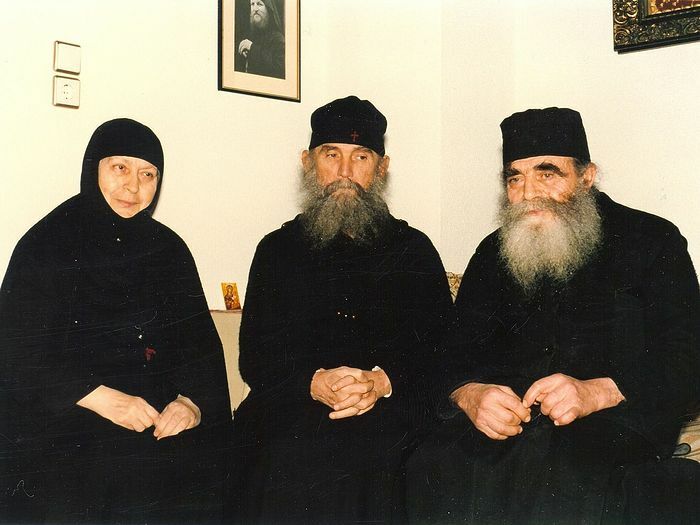 Elder Ephraim and Gerondissa Macrina. During her pilgrimage to the Holy Land, the blessed Eldress Macrina went to find this place. She called it the “rock of contradiction”. The eldress said that we should war with the spirit of contradiction and try to always show obedience. That is why obedience is the first and foremost thing taught in a monastery. Eldress Macrina with the sisters. Many times at the end of our talks I would incline my head on her knees so that she would bless me, and she would bless me and say, “Like an enormous ocean, like great rivers and valleys, may the Lord grant us so much patience.” At the word “patience” she would use the plural. She would also say, “The grace of patience is the strongest grace,” because patience is at the foundation of all virtues. We cannot perform a single virtue without patience. Many of blessed Macrina’s instructions point to the primary importance of prayer, especially the Jesus Prayer. The eldress often emphasized the acute need for us to have “spiritual assertiveness”, in praying the Jesus prayer and in the reading of our daily prayer rule. Here is one of her favorite stories, which she would relate when talking about prayer. One woman named Maria had a stroke, after which she remained totally paralyzed below the waist and to some degree on her upper right side. Eldress Macrina had taught her five years before her stroke to repeat the Jesus prayer and the prayer, Most Holy Theotokos, save us” as often as possible throughout the day, and when some essential need has arisen. After several days of this heartfelt prayer, one time the Most Holy Theotokos appeared to her during her prayers. She was radiant, bright as the sun, and followed by a multitude of Angels and Archangels; and Maria felt that the Mother of God literally covers and protects the whole world! The entire room and the whole house were filled with radiance and a heavenly fragrance that came from the Mother of God. But in the words of the blessed Eldress Macrina, all of this woman’s family members were witnesses to this living miracle. The heavenly fragrance remained in the house for many days, especially in the sick woman’s room. Maria’s face shone with the grace she had received. She not only began gradually to turn from one side to the other, but in just a few days she was completely healed and rose from her bed of pain. The blessed eldress showed through this story that the Most Holy Theotokos WANTS for us to turn to Her and She promises us that She will help us by her presence! Through the prayers of blessed Gerondissa Macrina, Most Holy Theotokos, save us! * St. Paisios actually reposed one year prior to that of Gerontissa Makrina.